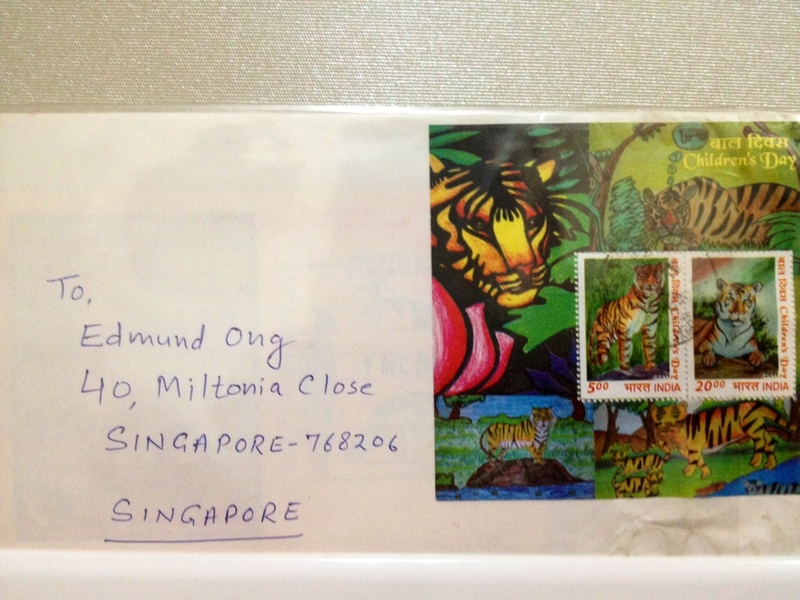 eD@HoMe: Tiger Cover From India! 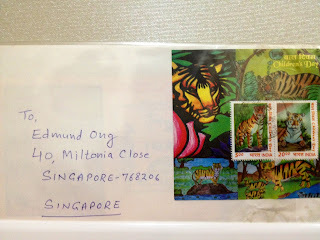 Many thanks to Jeevan Jyoti for this lovely cover posted from Kullu, India! 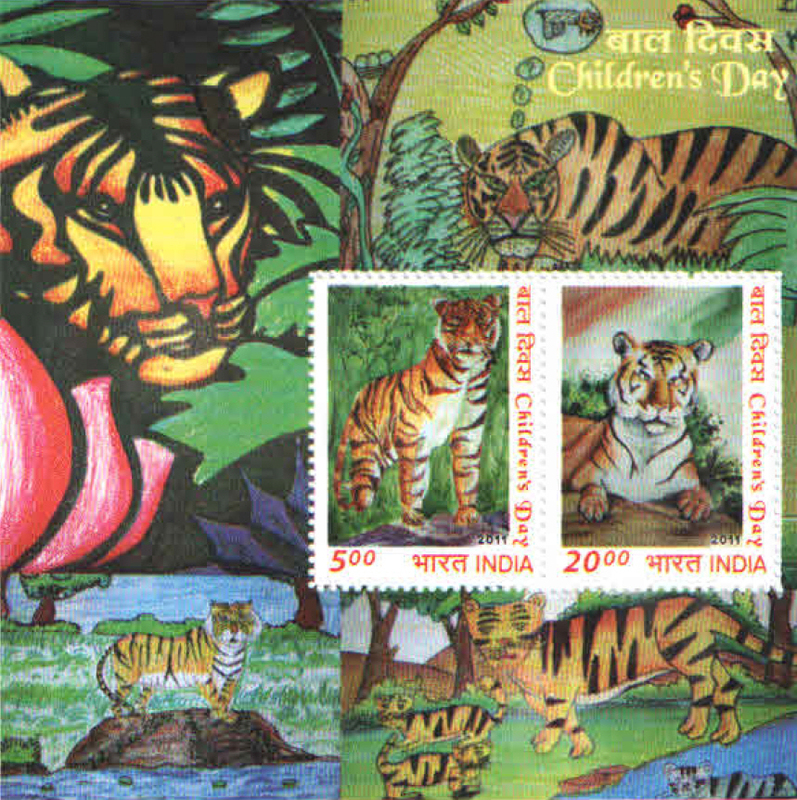 Designed by school children during a "Design a stamp" contest on the "Save the Tiger" theme at Indipex 2011, this beautiful miniature sheet was released on 14th Nov 2011 to mark Children's Day.